Ethan Brown, 44, doesn't want to sell vegan dishes that taste like meat. His goal is far more ambitious: to create plant protein products that, on a molecular level, are virtually indistinguishable from chicken, beef and pork, forcing us to reevaluate the way we define meat altogether. "You can get hung-up on meat's origin – it comes from a chicken, cow or pig," he says. "But the other way to think about meat is its composition: amino acids, water, lipids, carbohydrates, minerals, water." By the latter classification, chicken is simply a string of organic compounds. And if this code is recreated exclusively with compounds found in the plant kingdom, who's to say it isn't chicken? Not Brown, clearly. As the co-founder and CEO of Beyond Meat, he's built his company on the steadfast belief he can create plant-based meat alternatives that taste identical (not similar, identical) to their flesh-and-blood counterparts. He's not there yet. 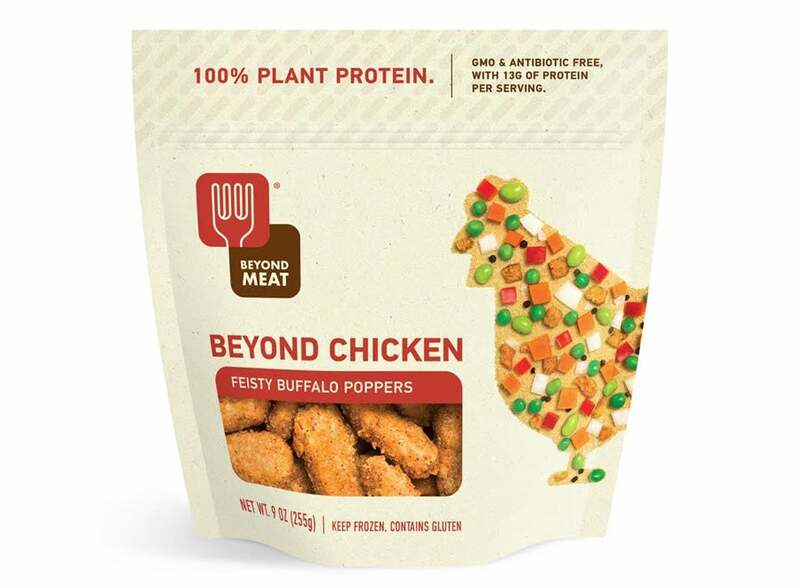 Beyond Meat's line of products, which include the Beast Burger, chicken strips, chicken tenders, beef crumble and beef meatballs, have fooled discerning food critics in blind taste tastes – that is, when they are prepared as a complete dish, such as chicken salad. He's the first to admit that a plain Beast Burger likely won't convince anyone they're eating a beef patty. "When they're naked side by side, it's obvious something is different," he says. "The products we have in the market are imperfect to say the least." Outwardly, he's confident they'll eventually get there. The company's 85 employees are continually working to nail down the magical combination of amino acids, lipids, carbohydrates, water and minerals that will elevate plant protein from meat's chewier, less tasty cousin to its equal in taste, texture and its superior in sustainability and health. Right now, all products are made from pea protein or soy and pea protein. When asked to describe his vision for the company, he provides the following anecdote. Recently, his 11-year-old son asked if he could have his own phone. Brown, joking, said sure – he'd get him a landline. "He was like, 'What's a landline?'" Brown says. He wants to achieve the same dynamic with meat, so future generations of 11-year-olds will be incredulous when told that chicken used to come from actual chickens. It's a goal stereotypically Silicon Valley-esque in its sweeping ambition. (For the record Beyond Meat, which is actually based in Manhattan Beach, Calif. is not alone this vision – the Silicon Valley-based Impossible Foods is also working to create meat from plants). The obstacles are numerous, starting with our cultural definition of meat that goes back, oh, 2 million years. If the company is unable make pea protein taste just as juicy as a burger, however, all of this is beside the point. The proof is in the patty. Like a favorite sports team, Brown's interest in sustainability was inherited from his dad, a public policy professor at the University of Maryland. After graduating from Connecticut College in 1994, he worked in the renewable energy sector for a decade before coming to the realization that industrial agriculture consumes more emissions than transportation. Immediately, he shifted his focus. In 2009, Beyond Meat was born. Brown has been a vegetarian since high school and a vegan since his late 20s. Although, he stipulates, his veganism isn't integral to Beyond Meat's mission. While the majority of the company's customers are vegans and vegetarians – a combined group that only makes up 5 percent of U.S. adults, according to a 2012 Gallup poll– the end-game is to appeal to meat eaters. But Brown is intent on appealing to mass market consumers: "I've always said, we're not focused on Marin or Martha's Vineyard. The people who can afford antibiotic free range chicken – that's not the crowd I'm interested in." He's putting his money where his mouth is. Last month the company announced Don Thompson, McDonald's former CEO who had been at the fast-food franchise for 25 years, is joining its board. He'll help Beyond Meat do what he did for McDonald's, says Brown, namely developing products and marketing strategies that will appeal to mainstream consumers. Along those lines, the company announced that it has partnered with meal delivery startup Chef'd to bring Beyond Meat products plus all additional necessary ingredients for a complete meal directly to people's homes. At this point, however, the price – dinner for two costs $24 or $28 depending on the meal option – may be a stumbling block for the aforementioned consumers who can't afford antibiotic free range chicken. Still, Brown is clearly working to reach more people. Beyond Meat's products, while available at Whole Foods since 2012, have only recently expanded to Walmarts and Targets across the country. Brown is working to have Beyond Meat's products moved from the faux-meat section and placed behind the meat counter, though no supermarket has been convinced to make the change. Before he can begin campaigning to redefine meat in earnest, Brown's plant protein burger needs to be truly indistinguishable from a beef burger. Despite his insistence that it's only a matter of time, hype is easy. Results are hard. However. If Beyond Meat -- or any of its present or future competitors – can somehow truly pull it off, just imagine: a world where animals, beef, chicken and pork is grown in the ground.